On May 10th 1940 German troops invaded the Netherlands. Five day's later Holland, having faced overwhelming odds, surrendered. So began five long years of occupation. Occupation that would see enormous loss of life and suffering. The worst period endured was the 'Winter Hunger' of 1944/45. In a frantic hunt for heating fuel, trees were cut down in the streets and doors and windows were ripped from the homes of deported Jew's. The following is a brief synopsis of those who risked life and deportation to free their country from it's suffering and without who's help ... Operation Market could have been far worse. 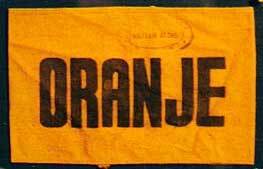 There were four major Resistance Organisations in Holland by the middle of 1944. 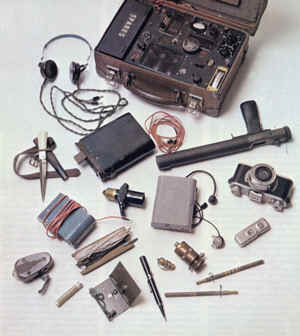 Surviving the early years of occupation and the ruthless German Counter Intelligence Operations; they operated in an extremely decentralised manner, refusing to coordinate their activities with other groups unless it was absolutely essential. Most of these groups did not answer to a central headquarters. Instead operating completely independently. Due to this type of operating method. Many members of the Resistance did not know to which group they belonged until after the war. As the war progressed and especially after the D-Day Landings in France; many groups transitioned into a more active and aggressive Resistance role. Whilst maintaining a low profile. The L.O's primary objective was the protection and infiltration of onkerduikers; although their concerns went far beyond this. Food coupons were used by the Germans and the Dutch Nazi Government to ration food and to 'keep tabs' on the population. Obtaining these coupons was done in many fashions. The L.O became expert at forging these documents. 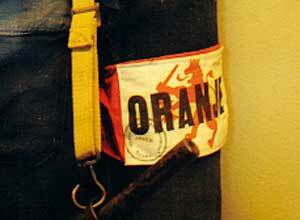 Loyal Dutch citizens, in the employ of the Dutch Nazi's, also funnelled authentic papers and coupons through to the L.O. An example of this was the Leegsma family at the Hague who used their position in the Police Force to tip off the L.O before an impending Razzia (rade) or arrest of an Onkerduiker would occur. they were also able to provide genuine food coupons to the L.O. Other groups, such as the Knokploegen, conducted raids and robberies to steal authentic coupons from Government agencies. 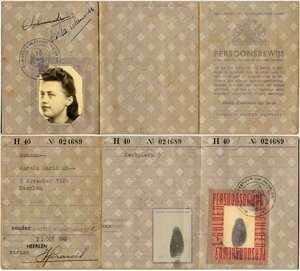 Dutch civilians risked their own lives by giving up their own coupons to the L.O in addition to keeping watch on Dutch Collaborators. The Landelijke Knok Ploeg (Central Government Fighting Group) also known as the KnokPloeg or by their abbreviated names of the LKKP and KP respectively; engaged in at local level in sabotage operations against the occupiers. Their strength was estimated at 550 members nationally although the actual membership of the KP is probably much higher. Because of the nature of their operations, their exact disposition remains unknown. Such operations included targets of opportunity and the assassination of individual German soldiers and Dutch collaborators. The latter was dangerous both for the KP and the local population. 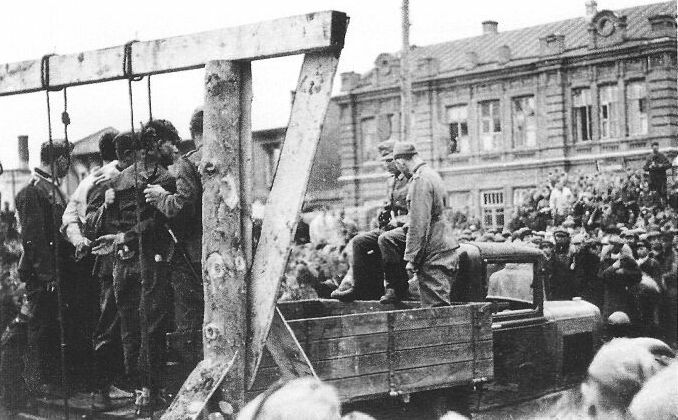 The Germans would crack down on the community where the murder occurred; sometimes exacting retributions. They would also set up Counter Intelligence efforts in the area in an attempt to eradicate the resistance cells. For these reasons. 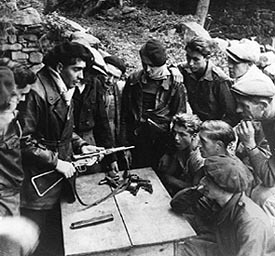 Direct action was not the preferred method for resistance groups to use. 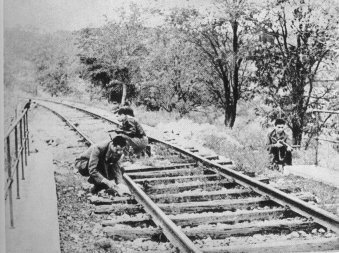 More often than not the targets were railway tracks, telegraph and telephone poles, German supply points and motor pools. The Raad Van Verzet (Council of Resistance) otherwise known by it's abbreviated name of the R.V.V engaged in communications, sabotage and the protection of Onkerduikers. Allied planners regarded this group as ' sound from the security point of view '. With several thousand members, the R.V.V was in direct radio contact with the Bureau Inlichtingen and had demanded arms and ammunition. Their principle role during Operation Market Garden was to execute a railway strike on the orders of London. Within the 1st Airborne Division, overall responsibility for Civil Affairs, Resistance and Counter Intelligence Operations was given to Colonel Barlow OBE, as the Deputy Commander 1st Airlanding Brigade, his headquarters was supposed to be co-located with Brigade's and inside Arnhem. The Civil Affairs responsibility was assigned to Lieutenant Commander Wolters, a Dutch naval Officer, who was designated as the official representative of the Dutch Government with full powers as such. 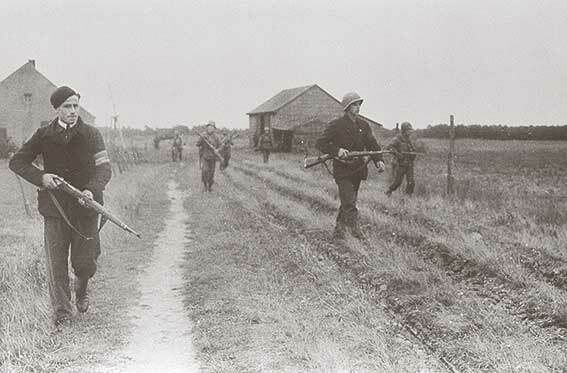 The eleven Dutch Commando's assigned to the British were also attatched down to Brigade level to operate as interpreters. 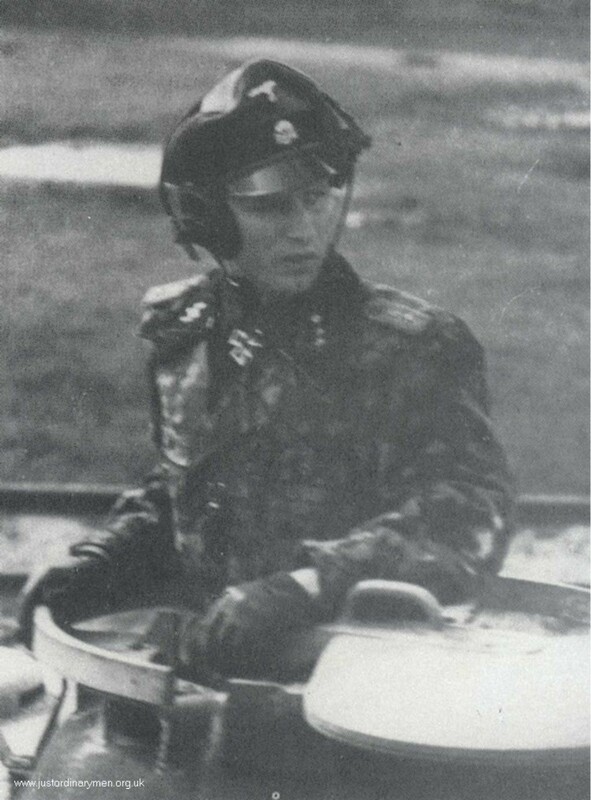 Four were assigned to the 1st Airlanding Brigade, The Polish Brigade, 1st and 4th Parachute Brigades, the reconnaissance Squadron, the C.R.E, Divisional Headquarters and the signals section were assigned one interpreter each. Captain Killick was the Divisional Counter Intelligence Officer with the 1st Polish Parachute Brigades C.I.O being Lieutenant Brzeg. Also assigned to the Division were elements of Special Operations Executive. The SOE team allocated to the Division was Codenamed ' Claude ' and consisted Royal Nederlands Army Officers Captains Groenewood (Commanding), Lieutenant Knottenbelt and Americans Lieutenant Todd and Technical Sergeant Scott (Wireless operator). 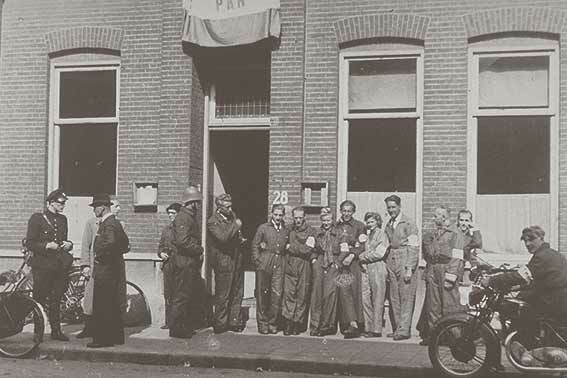 The team's responsibility was to recruit Dutch citizens for work within the Division airhead. 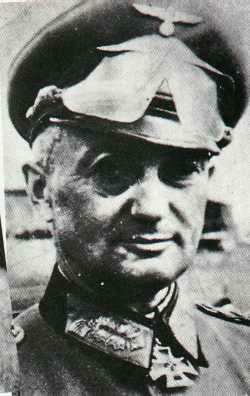 A Resistance member called Wouter van de Kraats was able to confirm that a German army group commander had established his headquarters in Oosterbeek's Hotel Tafelberg. he bluffed his way passed the German sentries and was able to look at the German staff cars parked outside. By The afternoon of Thursday 14th September 1944, Henri Knap, Arnhem's Resistance Intelligence Chief, had collected enough information to enable him to report via the Dutch telephone system to the Albrecht Group on the presence of the 9th SS Panzer Division Hohenstaufen north of Arnhem, between the city and the town of Apeldoorn. 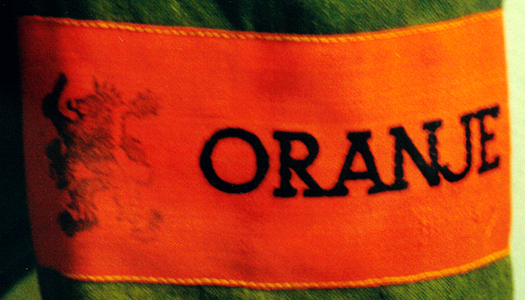 Based on Van de Kraat's description of the insignia on the German staff cars parked outside the Tafelberg, Knap also reported that Field Marshal Model's headquarters had been established in the neighbouring Oosterbeek. 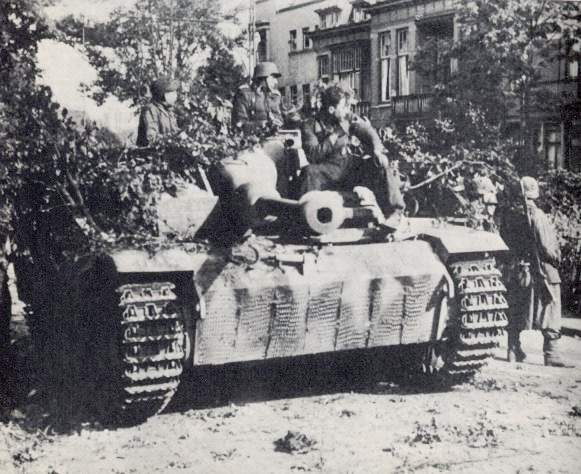 Later that same day, the Albrecht Group sent a report to British Intelligence providing the exact positions of the German reinforcements in the Arnhem area. At the beginning of the war, the various small groups, including the K.P received information taskings and some sabotage orders from Jan van Bijen, a.k.a. ' Frank '. One Arnhem group was infiltrated in 1940, with fatal consequences for it's leader and several members. In spite of the Gestapo's best efforts, the Resistance remained active. Although the Boy scouts had been outlawed, they continued to meet in secret in the woods outside Arnhem. Some members joined the Red Cross or the local volunteer fire department in order to maintain their freedom of movement and gather information. The scouts would later fight side by side with British Paratroops at the Lower Rhine bridge. The Arnhem - Oosterbeek Underground. Arnhem had L.O, K.P, R.V.V and O.D groups operating in the area. Pieter Kruijff was the thirty five year old Arnhem Regional Resistance Chief of the K.P. Kruijff had managed to procure some wood burning vehicles, probably trucks, occasionally using them on supply missions and to shuttle Onkerduikers. the K.P in Arhhem was sub-divided into six smaller operational groups with different area's of responsibility. The sabotage unit was led by Toon van Daalan and Bert Deus. as with most sabotage operations conducted throughout occupied Holland; this group attacked targets of opportunity. The K.P's transportation needs were handled by Menno Liefsting, whose primary responsibility was the movement of arms, ammunition and supplies from another resistance group in nearby Apeldoorn. The Orde Dienst (Order of Service) otherwise known by it's abbreviated name of ' The O.D had the primary mission of preparing for the return of the Dutch Government following Holland's liberation. The O.D was made up primarily of former Dutch Officers and government officials who found themselves supplanted by the Nazis and Dutch collaborators. The OD's main missions were to collect intelligence and develop plans for the maintanence of administrative services and civil order on the libertaion of Holland. Though the O.D was thought to have penetrated, Allied Intelligence estimated that most O.D cells were still loyal and could be depended upon to provide assistance during the liberation of Holland.